Flautas with a dipping sauce. Flautas are typically made with flour tortillas whereas taquitos are made with corn tortillas. 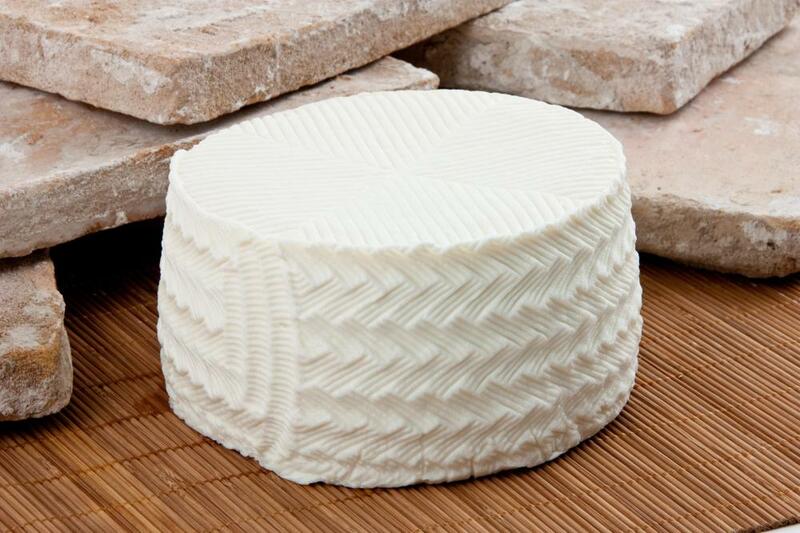 Queso fresco, which is used in making flautas. Flautas can be topped with salsa or other condiments. Flautas are a Mexican dish made by wrapping a tortilla around a savory filling and deep frying the result. Typically served hot out of the fryer, they may be topped with an assortment of ingredients. Multiple flautas are usually served in a single serving, since small tortillas are often used. In addition to being available in Mexico, this dish is also very popular in the American Southwest, and variations can be found in South America as well. The term is derived from the Spanish word for flute, and the rolled tortillas do look rather like flutes. In some cases, they may appear on a menu with names like flauta con pollo, indicating that the flauta is made with chicken, or flautas de Guadalajara, meaning that they are in the style of Guadalajara. These more detailed names can provide clues as to how the dish may taste. In cases where the contents are not detailed, diners may want to ask restaurant staff so that they are not surprised by what they get. The base of a flauta is a tortilla, which can be small or burrito sized, depending on the inclination of the cook. 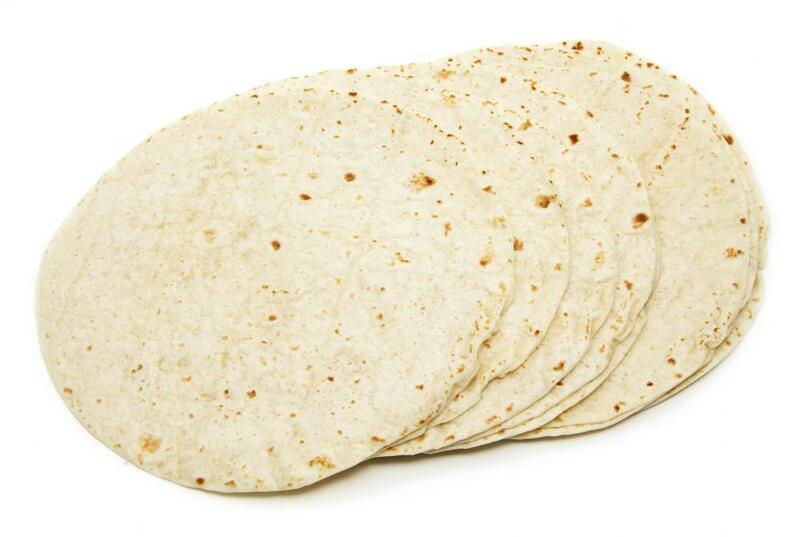 Fresh tortillas are usually preferable, since they are more flexible and flavorful. Some people distinguish between this dish and taquitos, a similar dish, claiming that flautas are made from flour tortillas and taquitos are made from corn. The terms, however, are often used interchangeably, and some people believe that taquito is a term coined in California, rather than a true Mexican-Spanish word. The filling is often made from shredded beef or chicken, although pork is not unheard of. It may also be heavily spiced with chilies and tomatoes. After being deep fried, the dish may be dressed with shredded cabbage, queso fresco, sour cream, tomatoes, salsa, or hot sauce. The fresh greenery helps to cut the somewhat greasy filling which can accompany fried foods. The fried tortillas can also be eaten out of hand like a snack food. Serving them cold is usually not recommended, as the taste is considered less than desirable. As is common with Mexican cuisine, there are several different versions of flautas available in Mexico, and these versions may be very different from the American variations served North of the border. Americans, for example, may simply deep fry burritos and give the resulting dish this name, or they may make cheese filled vegetarian versions. 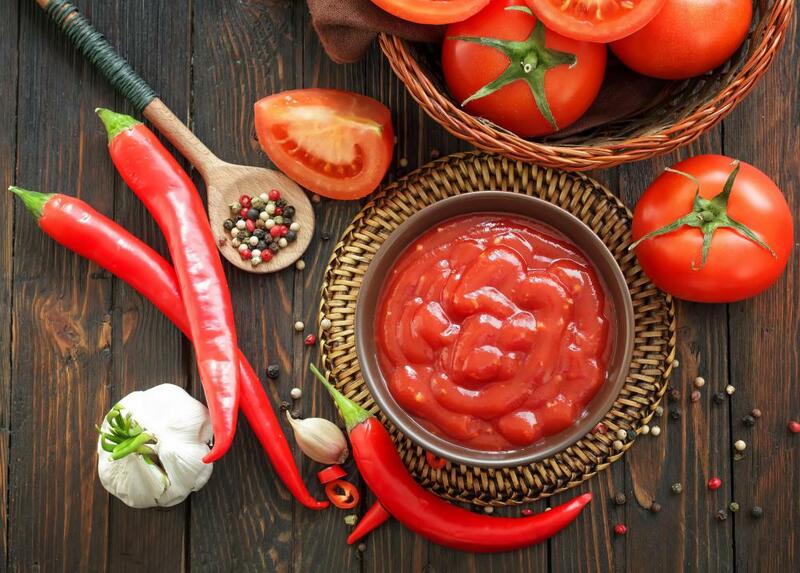 This diversity is one of the things that makes Mexican food so interesting, since there are many regions of Mexico, all with unique culinary traditions. I use a flour tortilla and put refried beans, cheese, and ham in it. Wrap it up, stick a toothpick in it to hold it together and drop it in oil and fry. I just got flautas at Safeway Deli. The list of ingredients was awesome. I've never seen so many chemicals in one item. However, it was delicious, and I suffered no ill effects. 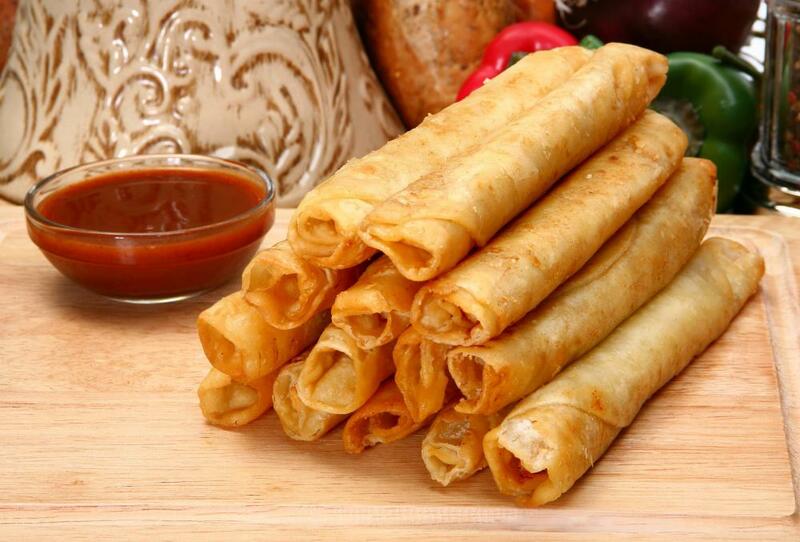 It sounds like flautas are the Mexican version of the Chinese egg roll. Both are deep fried and crispy with fillings inside, although the egg roll does tend to have more vegetables than the flauta. I'm a fan of tacos, so flautas seemed like something I would like. I found some in the frozen foods aisle at my grocery store and bought them. They were filled with chicken, so I figured I'd love them. However, after I heated them in the oven and took a bite, I was disappointed with the taste. The chicken looked like something out of a cat food can. It didn't taste like chicken at all. So, if you are going to try flautas for the first time, I recommend either going to a restaurant or making them yourself. Don't try the frozen kind. Has anyone tried making flautas at home? Will I need to use a deep fat fryer to cook them properly? I love flautas, but I usually rely on restaurants to make them because it is such a hassle to fry things at home. But I am having a dinner party in a few weeks and I am doing a Mexican theme and I think a flauta would be a nice addition to the menu. It sounds like a flauta is basically a taquioto. I am a big fan of taquitos but for whatever reason I have always avoided falutas when I see them on a menu at a Mexican restaurant. It sounds like I need to give them a try. warm them up in the microwave for three minutes first and that makes them easier to roll. how do you get them to hold tight? flour or corn tortillas? When making flautas we use extra thin tortillas, as regular size often break when you try to roll them tight around the filling. Place shredded chicken in a line across the tortilla, roll, insert a toothpick to hold them, and then fry in about 1" of oil. The thin tortilas make them lighter and crispy -- and they are great with queso -- yummmm! They are sooo tasty i am making them for school and i was looking for the history...............I just love them!!! !